"The peaceful morning of Mt. Akina was awaken by the induction sound of a 20valves 4AGE spinning near 10,000rpm, driven by Takumi Fujiwara, drifting through the 5 continuous hairpin; he trail-brake passed the entrance and the rear bumper of the Hachiroku started to slide towards the guard rail, leaving only10 centimeter of room..."
I believe most of us have heard of this comic book/Anime called Initial-D, regardless you are from the left side of the Pacific ocean, or across the pond in the Motherland of US of A. Hello Internet this is Asian Phil. 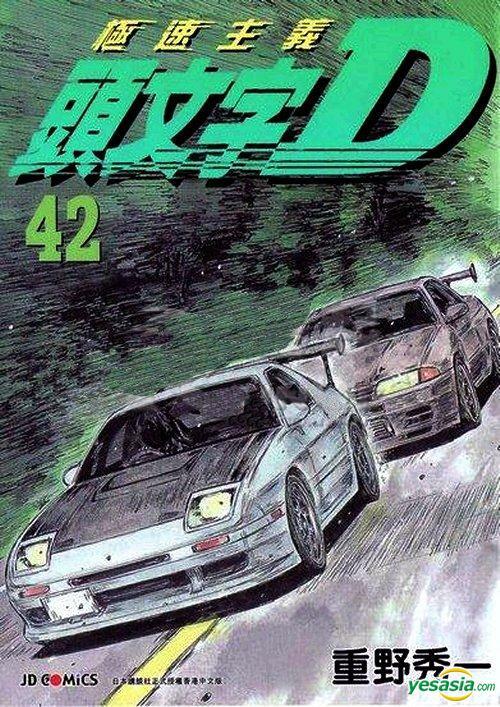 Initial D is one of my favorite comic book beside the Sailormoon obviously :p The entire drift scene from Japan exploded with the help of this comic book and the media right around 1998. And because of this comic book, the rear-drive Toyota Corolla become popular once again. Somewhere around year 2000, Toyota Corolla AE86 become a hype/bandwagon in United States. When I was a young teenager, those Toyota Levin/Trueno (Corolla in US) are just one ugly boxy car that we(as teenage at time) never paid attention to. When you were 13 living in Hong Kong, you and your friends usually would hang out at the local garage (speedshop) near your Secondary School campus, still wearing your school uniform, drinking soda pop and talk trash about what you are going to do with a Honda EG6 hatch when you grow up. None of us have ever mentioned or dreamed to build a Toyota AE86 Corolla. Until I met my buddy Travis, all I can remember was my friend Ryan called and asked me to help his friend Travis to tear down a donor AE86. Just because of this "Tofu box", Travis and I become friend ever since. Travis' plan was fully refresh the car, all new bushings, hardware, engine etc. His original intend was rebuild the blue top twin cam 4AGE, until I mentioned to him an idea of blacktop 20valves 4AGE that can spins pass 8500rpm and eat Honda B16A2 alive, then he changed his mind. After a few phone conversation, he placed an order. Few weeks later, this 1.6L Toyota pride of joy arrived.To fully take advantage of this fast revving short stroke engine, Travis picked out the lightweight Toda racing flywheel and Exedy 3 pucks clutch.To take care of the breathing department and fully explore the awesome throttle response of the 4AGE engine, fresh oxygen is inhaled by the factory individual throttle bodies with velocity stacks, and exhaled through a 4-1 equal length exhaust manifold, and finally exit to the atmosphere via Buddy Club Racing Spec II catless exhaust. The 20valves 4AGE are original from AE101, and AE111wrong wheel drive FWD Corolla in Japan. Therefore when you rotate the engine longitudinally, the distributor and coolant outlet will point directly towards the firewall. Luckily Techno Toy and Garage Annex make a kit to relocate the distributor and water neck towards the front. So we don't have to cut the firewall or like other people hammer their way through.To keep the temperature under control, Travis picked Koyo 2row aluminum radiator and oil cooler for the job. Since the chassis is from 1985, it's probably tired and flex quite a bit under load. To enhance the chassis rigidity and further improve handling, we used the Automotive chassis Viagra trick. This two-part urethane foam is very lightweight but it provides tremendous of torsional and bending stress resistance for the unibody chassis.We used the 8lb/cubic ft density foam to fill up the rockers and cross member, end result is extremely satisfying. The flexible hatchback chassis suddenly felt like a refreshed new late 2000 model proper RWD car. Chassis 2-part foam has been widely use by many automotive manufacturer, they are well known to increase chassis roll stiffness and rigidity without the side effect of adding a lot of weight. Travis, Ryan, and I are very pleased with this project. This sub-2000 lbs rear-drive sport car is light on its feet. The engine revs fast and high, and it put a huge smile on your face and ring in your ears everytime the tach needle swing passed 8000rpm on the dash. I sure hope to see a lot more action from this cool little Corolla in the near future. Thank you Travis for preserve this very unique Japanese Classic rear-drive Sport car. He has built one of my childhood dream car with his checkbook and I cannot thank him enough. This AE86 not only taught us knowledge, but it built friendship as well!